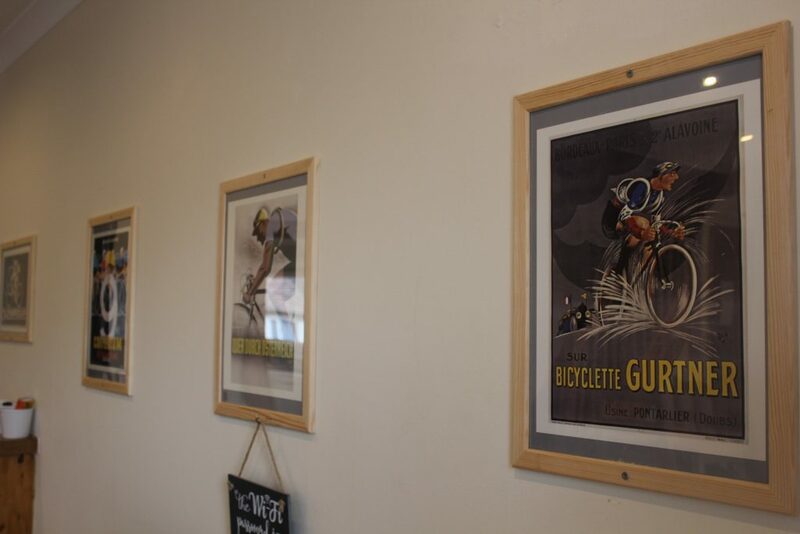 Cycling friendly accommodation in the Cairngorms National Park! A fantastic well equipped two bedroom apartment in Aviemore suitable for three people with secure outdoor kit storage (ideal for bikes! 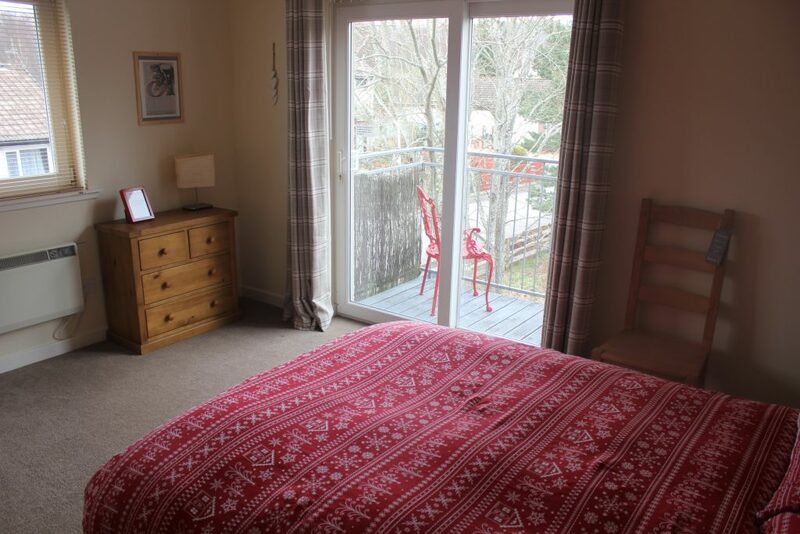 ), WIFI, views of the Cairngorms, a cosy wood burning stove and lots more fantastic features! Entering from the front garden, there is a small porch with hooks for hanging jackets & an area for storing shoes & boots. You enter the main living area through a glazed door – this area consists of a compact kitchen area with cooker, dishwasher, fridge, coffee machine & microwave and a table with 2 chairs & 2 additional stools. 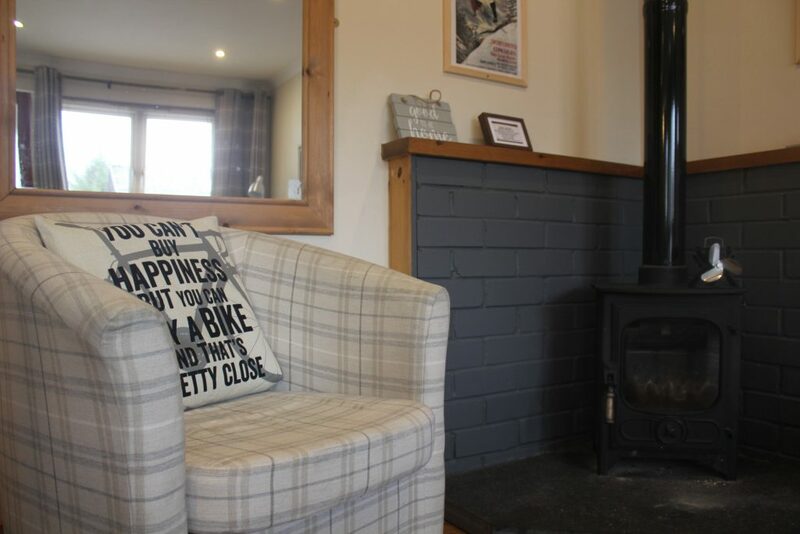 The lounge seating area is furnished with 3 easy chairs, Roko Smart TV (you will need your own account for Netflix), wood burning stove and a selection of books & maps. The stair leads off the living area up to 2 bedrooms (one twin & one double) The double bedroom has the added advantage of a balcony which on a good day you can see the Skis Slopes on Cairngorm. The bathroom is equipped with a bath (shower over bath), toilet and sink. There is a pulley in the upstairs hallway to hang your wet kit on. 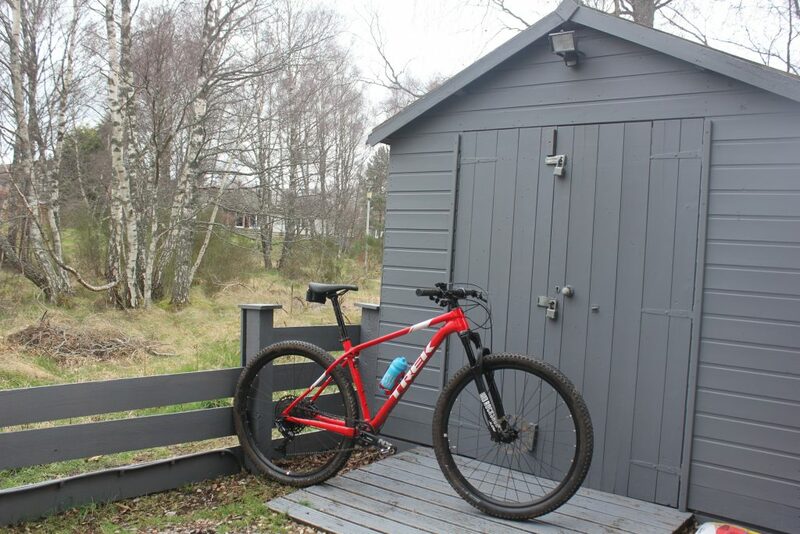 It is in a great location for walking or biking into Aviemore. Just over 5 minutes away is The Speyside Way, Spey Valley Golf Course, Dalfaber Country Club, The River Spey & the bus to Cairngorm Mountain for Winter Sports and Summer Walking. Great base for touring the whisky distilleries in Speyside. The apartment is heated with electric heaters and the wood burner, the oven/cooker is electric. Part of the rental fee includes a basket of logs & a few firelighters. Great outside space for parking. Good sized rear garden with secure storage for outdoor kit. (The drive way is at the side of the property and the back garden is to the rear of the drive). 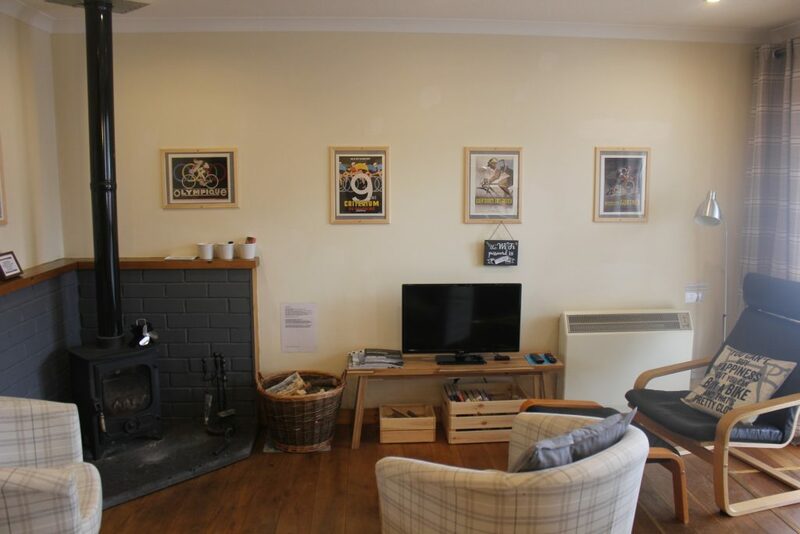 Additional stuff included in the rental fee – Bed Linen, WIFI, basket of logs & electricity, a supply of bike wash & bike oil in the shed, we will try to ensure there is a bike wash facility available but this is not always possible. Extras –Towels can be provided at an additional cost of £3pp. Additional logs can be taken from the supply in the back garden for £2.50 per basket, (there is an honesty jar in the kitchen). A few points you may wish to consider before you book; due to the balcony & the wood burner stove this property is not suitable for children under the age of 8. There are 2 steps at the entrance of the property and the stairs to go up to the bedrooms are quite steep. There is no washing machine in the property but there are 3 laundrettes in Aviemore. This is a quiet residential area so no parties at any time and or noise after 10pm. No pets, no smoking or no vaping. The shower pressure is quite low.